Gloucester souls only. Well, if you’re going to look anyway. 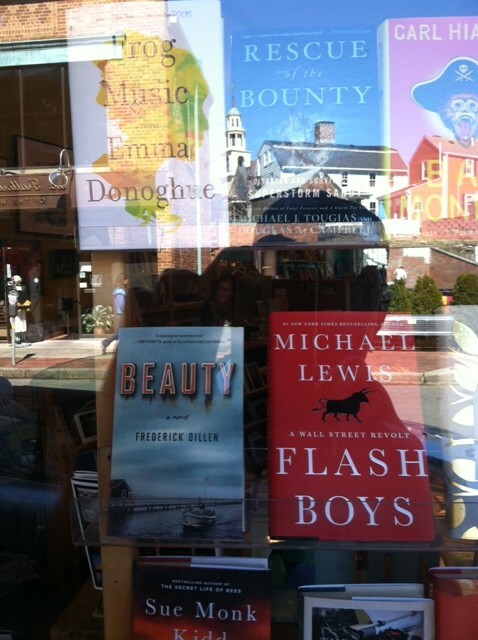 Carol, Beauty as she’s finally called, gets good placement because, as natives know, this is the window of The Bookstore on Main Street. In the reflection, yes, Gloucester, a tough, sweet town, Carol’s town.